Navigate to the User Settings section from the Edit menu in the main Spire window. 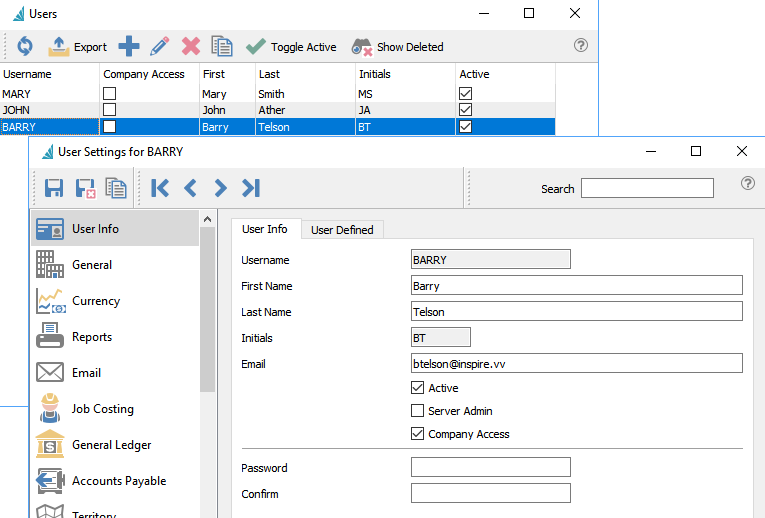 You will need to select the Username you wish to configure the settings for, in this case we will use the BARRY username. Server Admin – Checked if the user can administer Spire Tray to add, remove companies or setup backup schedules. The new window that opens will have a left side navigation menu which you work your way through for this user. In order to provide permission for any particular item, simply select to complete the check box next to the item you are allowing access to in Spire.